Business as usual? 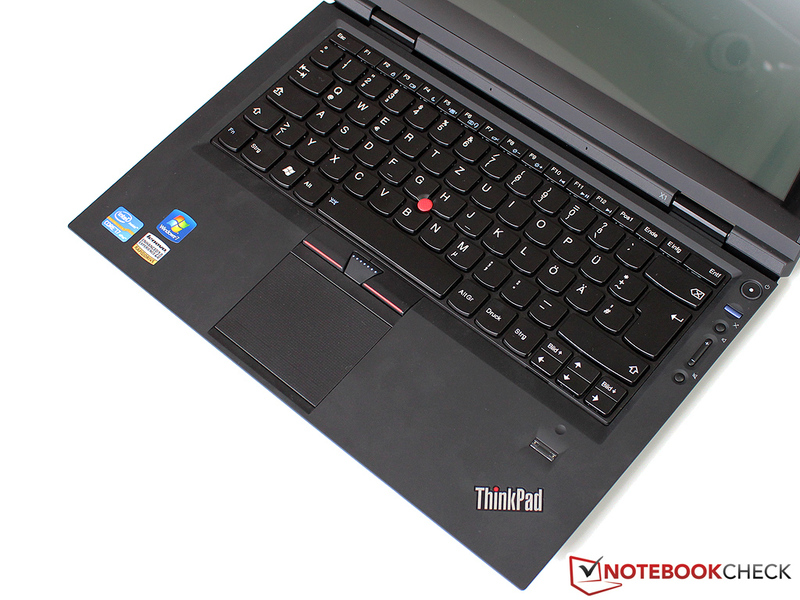 Does the top model of Lenovo's ThinkPad X1 series deserve its price tag of 1800 Euros? 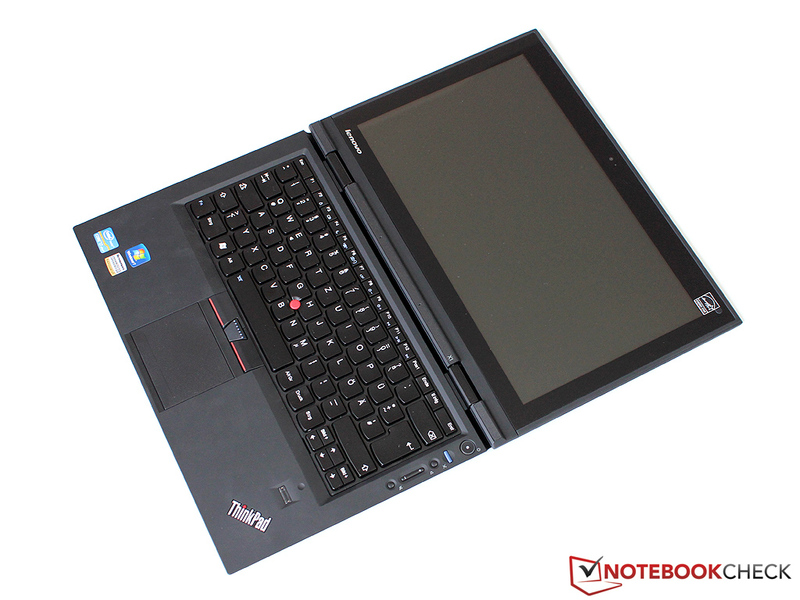 The basic configuration of the model includes integrated UMTS, a well-sized SSD and a fast Core i7 CPU, and all of that is installed in the thinnest ThinkPad of all times. 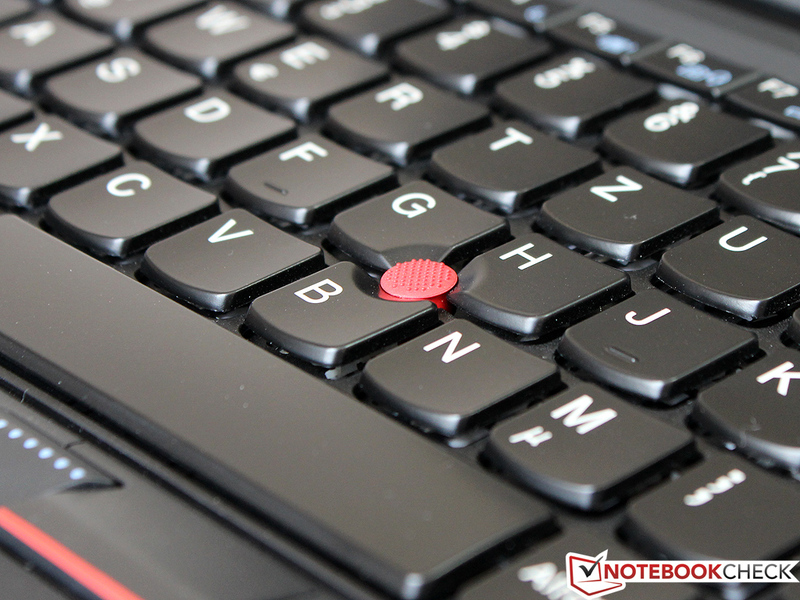 So read our following in-depth review to find out more about this revolutionary laptop. 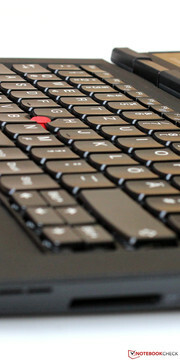 A ThinkPad evokes the image of a large, clunky device - the introduction of the X1 to the line-up changes all that. The X1 is 21 mm thick (more than Ultrabooks) and its inception has brought a breath of fresh air into the somewhat outdated Lenovo business line-up. In the past year, we tested the entry-level configuration - if you could call it that at a price of 1200 Euros. Now we are presented with the 1800 Euros expensive top model which, instead of using the Core i5 2520M, uses the fastest mobile dual-core CPU, the Intel Core i7 2640M, and is equipped with 8 GB RAM and a 160 GB SSD. As the connectivity or the case off the device have not changed, we will skip these sections in our review and start off with the display. For all the details about workmanship, connectivity, or input devices, please take a look at our previous review. The competition in the 12 to 14 inch section is widespread. 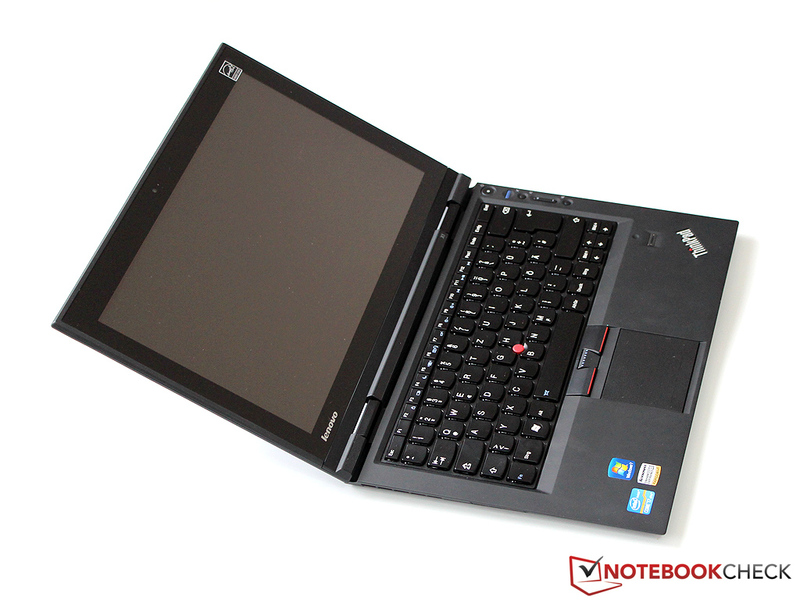 However, very few models of this section have a slim build and high performance like the ThinkPad X1. 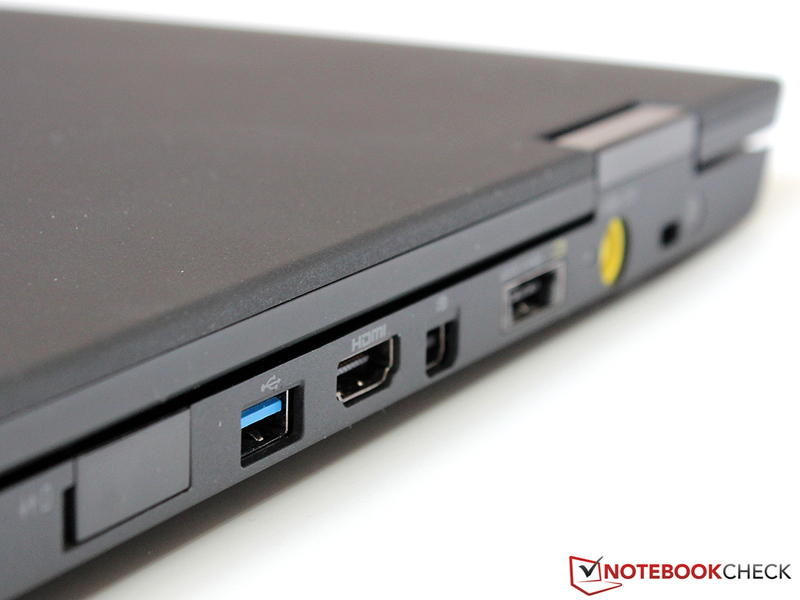 As such, the only close competitors would be the Dell Latitude E6320 or the Fujitsu Lifebook S761. The Macbook Pro 13 is also considered a competitor although it is not aimed at business users. 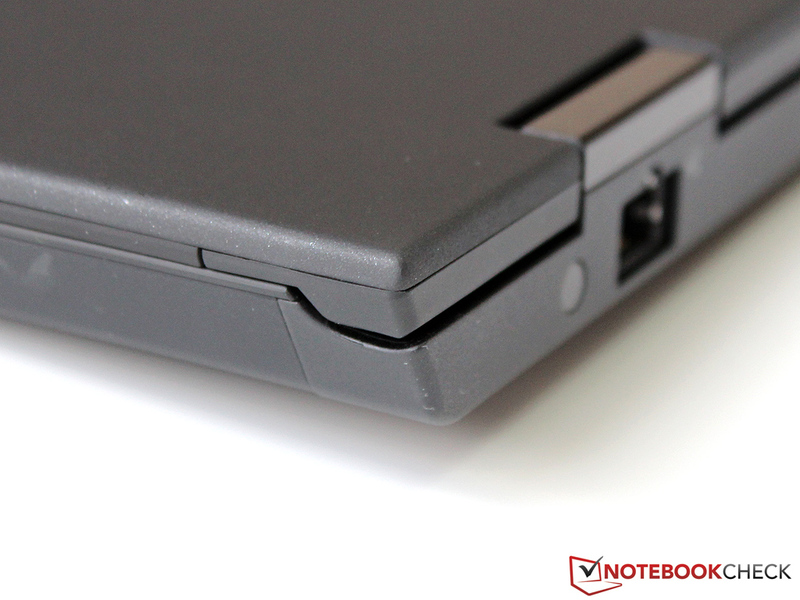 Business notebook without a matte display? Some users will cry out "Outrage" and they will not be wrong: in our opinion, the display of a business notebook should be anti-glare. The "Edge-to-Edge" Gorilla glass on top of the display reflects a little less than typical glare displays, but the reflections are still distracting. Unfortunately, the full-equipped X1 only has a WXGA panel with a resolution of 1366x768 pixels. 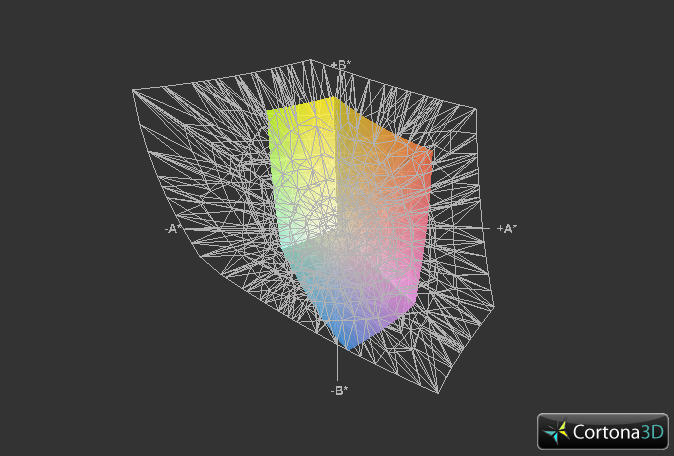 The pixel density is calculated with the diagonal of 13.3 inches: around 118 dpi. This density is sufficient but the user would have been more comfortable with a bigger work area. 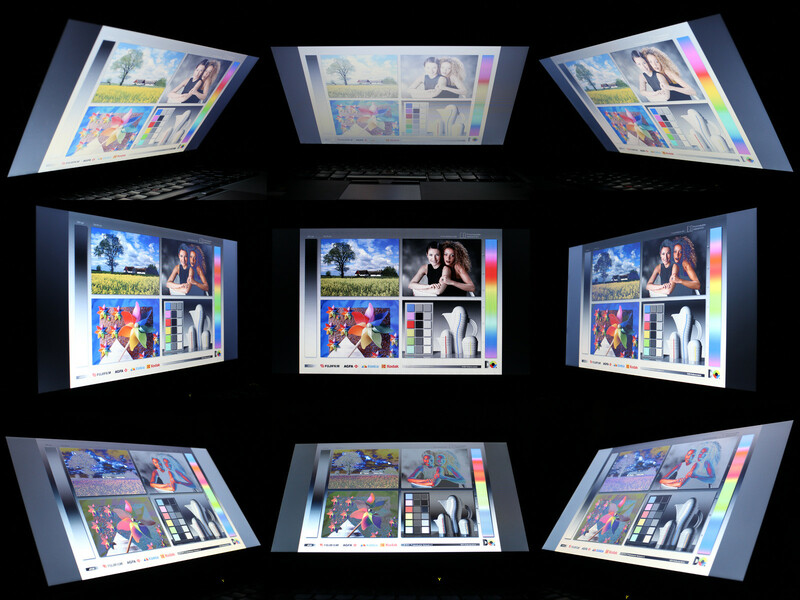 Asus plans on installing Full HD displays in its next generation of Ultrabooks (down to the 11.6 inch models). So we recommend that Lenovo improve their display. The brightness of the laptop is great. The LED backlight can be set to 15 stages and at the maximum brightness it emits a full 331 cd/m² - almost 10% more than in our previous test. The manufacturer's proclamation of 350 cd/m² is not quite reached but the laptop still performs quite well in comparison to its competitors (Lifebook S761 - 253 cd/m², Latitude E6320 - 195 cd/m²). The illumination of 81% could have been better/more balanced. Black value and contrast are a bitter disappointment: 2.8 cd/m² and 124:1 respectively are the poorest values of this class. 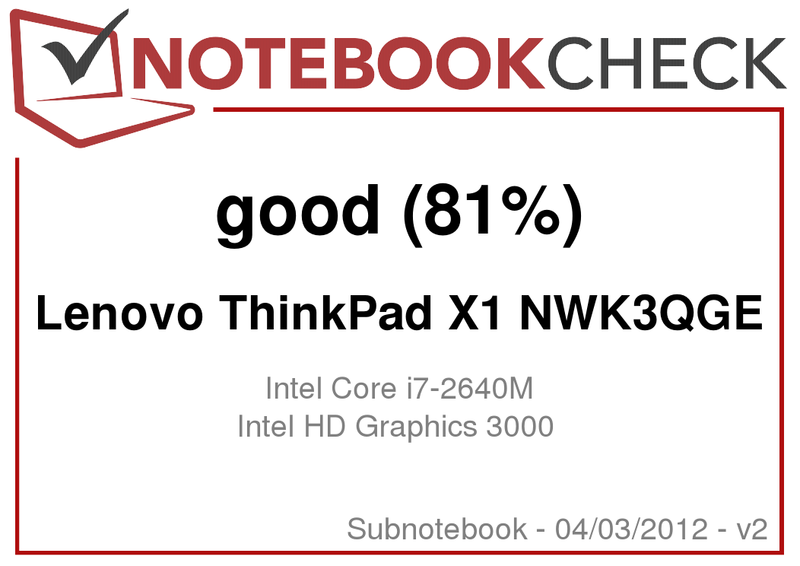 The quality of the TN panel (Lenovo LP133WH2-TLM5) is not better than the displays of cheap entry-level notebooks (less than 500 Euros). Age, quod agis, Lenovo! This critique applies to other manufacturers as well, as only few laptops like the Apple MacBook Pro 13 use high-quality displays. The color spectrum is also restricted, similar to that of the Fujitsu Lifebook S761. The picture still looks nice thanks to the high brightness and glossy display but professional picture editing will require an external monitor via Mini-DisplayPort or HDMI. 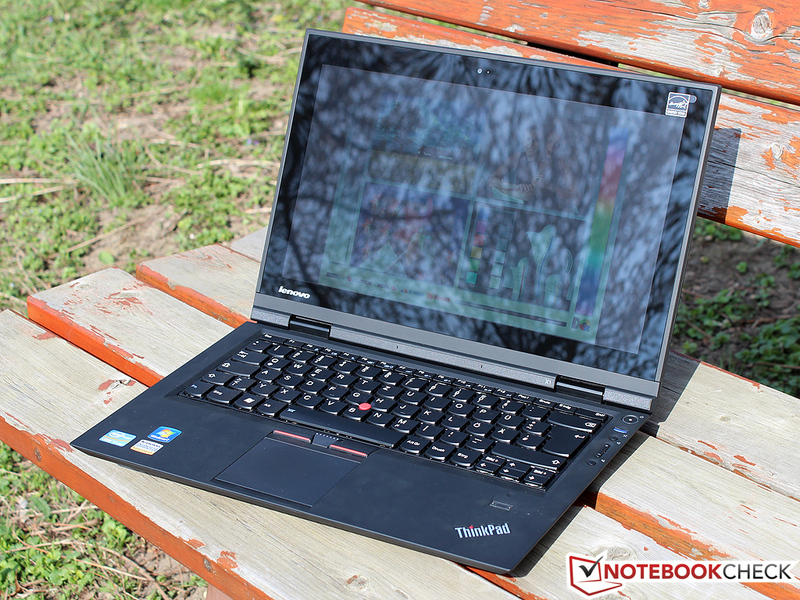 The outdoors compatibility and viewing angle stability of the ThinkPad X1 has barely changed. In direct sunlight, the display still has strong reflections although the higher brightness ensures comfortable use in the shade. The viewing angle should be centered ideally as any deviation will cause the content to rapidly change (invert or drop in brightness). 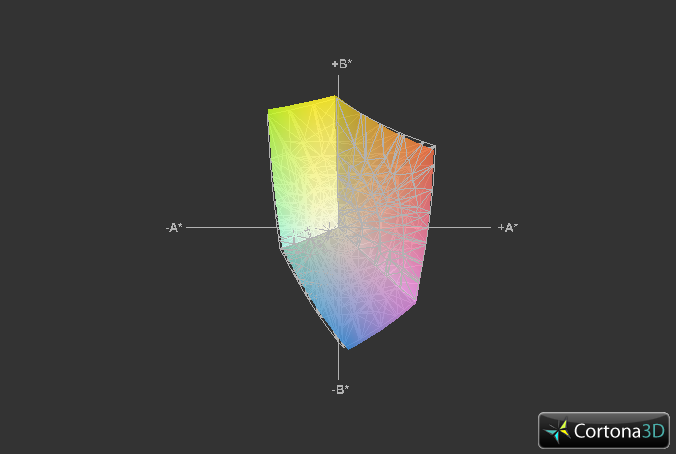 We would like to see an IPS display as this will support larger viewing angles and higher contrast. 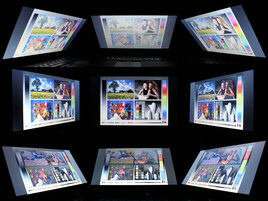 This display is already in use by many tablets such as the Asus Transformer Prime. This configuration costs almost 600 Euros more than the cheaper configuration of the notebook. We want to find out if this investment is worth it. 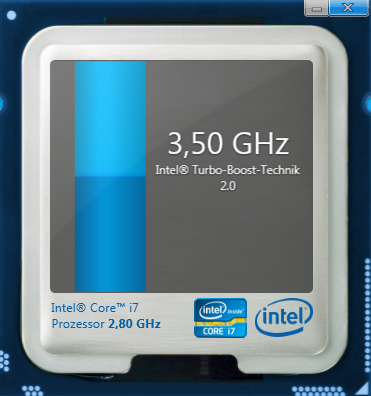 Intel's Core i7-2640M is the fastest dual-core CPU on the market. It is based on the Sandy-Bridge architecture and is finished in the 32 nm format. The core clock speed of 2.8 GHz ensures high performance which can be further increased by Turbo Boost 2.0 to 3.3 GHz (both cores) and 3.5 GHz (single core). 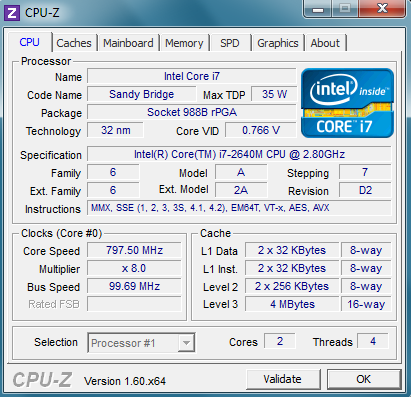 The features provided by the i5-2520M (AVX, AES-NI, and Hyperthreading) are also available in this CPU. 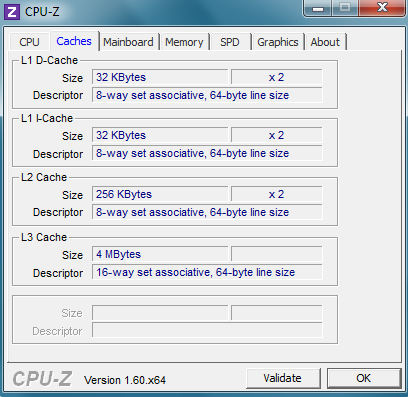 Hyperthreading allows the CPU to work on up to 4 threads simultaneously. 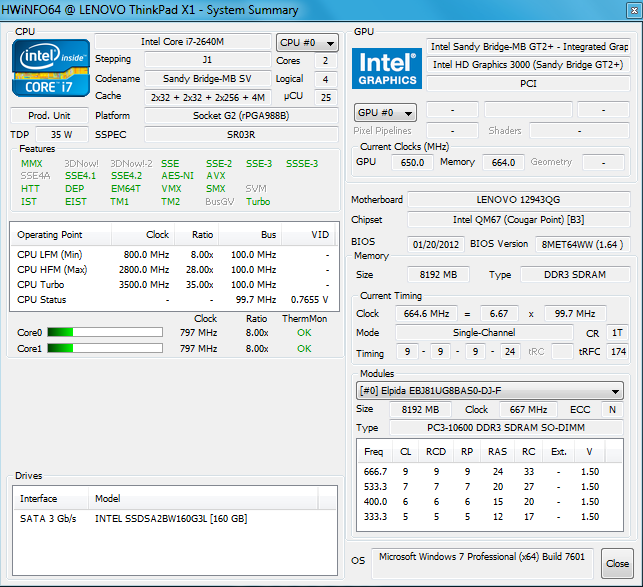 The i7-2640M has a larger L3 cache of 4 MB. The TDP value of both models is the same: 35 W.
The ThinkPad X1 has no dedicated graphics card and the HD Graphics 3000 IGP takes care of all the laptop's graphics. The 12 so-called Execution Units (EUs) are clocked at 650 to 1300 MHz (Turbo) and provide modest 3D performance which can be compared to entry-level graphic cards, such as the AMD Radeon HD 6450M. Videos can be played easily with the HD 3000 and it can also encode them quickly thanks to the Quick Sync unit. 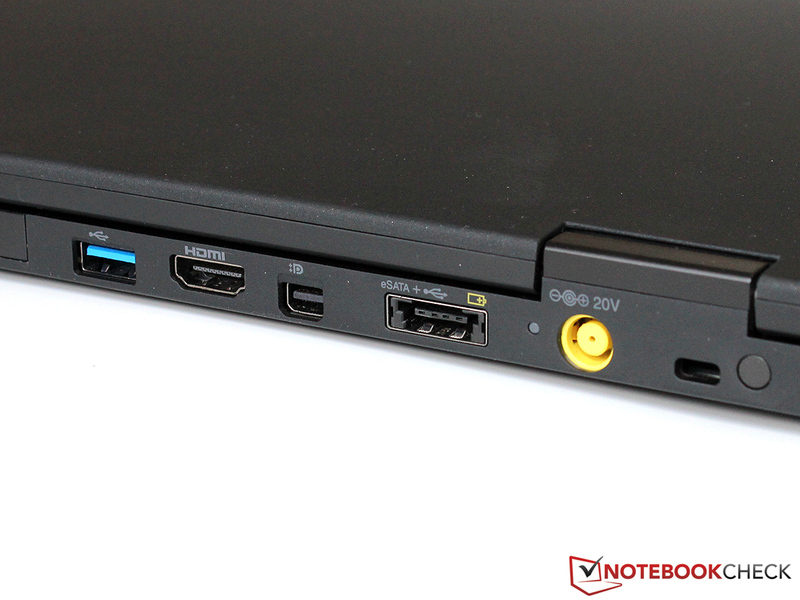 The laptop is also equipped with a 160 GB SSD and 8 GB RAM. 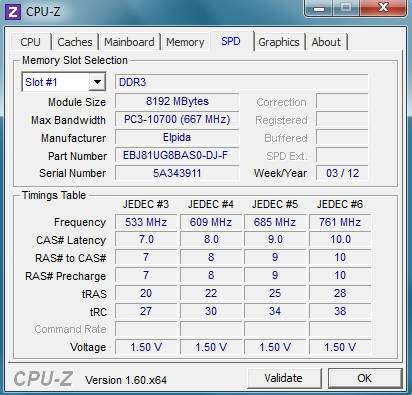 The RAM consists of a single module from Elpida. Such large DIMMs are quite valuable as currently their price is 50% higher than that of two 4 GB modules. Sadly, the laptop RAM can not be further upgraded as this model lacks a secondary slot. We praise Lenovo: the Core i7-2640M runs at its maximum Turbo speed without any fluctuations even while running on battery. Thus, the scores in our benchmarks were very great. In Cinebench R10 the CPU scored 5,519 and 11,943 points in single- and multi-thread tests respectively. In the latest Cinebench R11.5 benchmark, the CPU delivered 3.15 points (all tests were 64 bit). This trumps the performance of the i5-2520M by about 10% and the predecessor, the i7-2620M (Lifebook S761, Latitude E6320), is about 3-4% slower. A quad-core processor would have ensured a giant leap in performance, but a quad-core CPU with a 35 W TDP will only be available once Ivy Bridge is released. The user will be hard-pressed to find an everyday task which pushes the i7-2640M to its limits. The 2.5" SSD from Intel (SSD 320/SSDSA2BW160G3L) is one of the main reasons for the price hike. This drive costs more than 200 Euros and is also installed in the ThinkPad T420s. 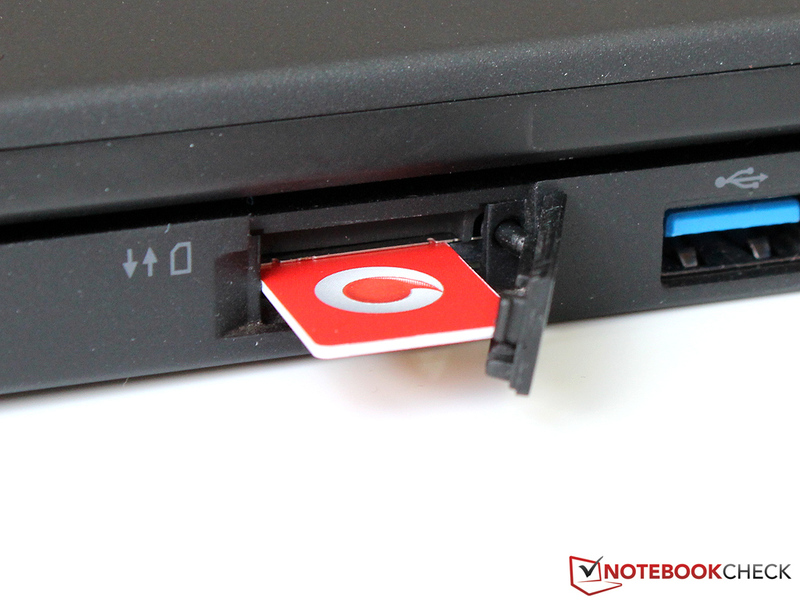 Lenovo uses about 12 GB of the 160 GB capacity for the Recovery partition, which can be deleted after the creation of a recovery DVD. The sequential transfer rates of 262 MB/s (read) and 169 MB/s (write) in the AS SSD benchmark are close to the manufacturer's specifications (270 and 165 MB/s respectively). In the 4K test, the drive slowed down to 15 and 27 MB/s respectively, whereas in the 4K-64Thrd test (unlikely scenario) the drive delivered 124 and 59 MB/s respectively. In comparison to standard hard disks, these values are amazing and can only be topped by the latest high-end SSDs with a SATA-III interface (such as, the Samsung PM830 in the Dell XPS 13). 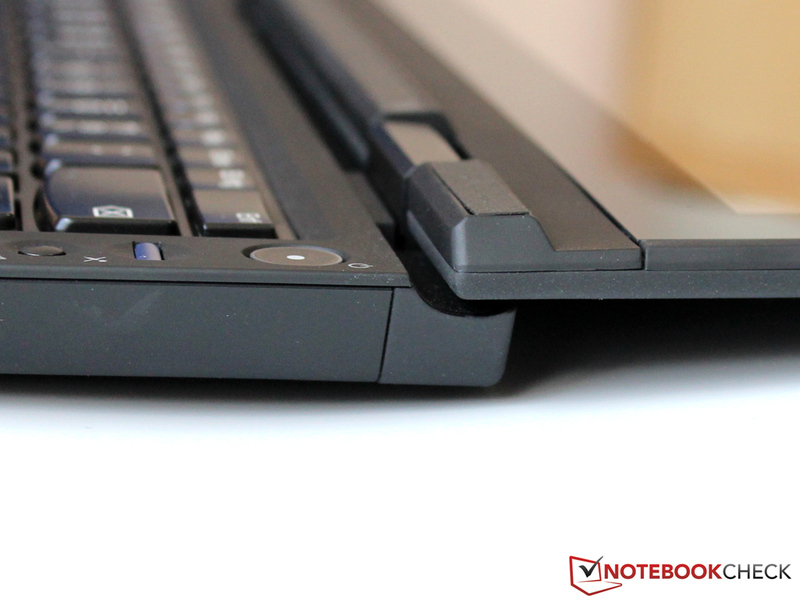 Intel's drives are considered very reliable and this is a definite plus in a business notebook such as the ThinkPad X1. The fast SSD and strong CPU deliver great system performance. The laptop scores 11,911 points in PCmark Vantage and 3312 points in PCMark 7 which places it close to the Fujitsu Lifebook S761 (the Dell Latitude E6320 falls behind as it lacks a SSD). In comparison to our first X1 test with the i5-2520M and the 320 GB HDD (7302/2323 points), we measure a significant increase in performance. In everyday use, the Intel SSD gives the user a clear advantage. The Windows 7 Professional 64 bit OS starts after some 20 seconds and can be used immediately. Thanks to the high single-thread performance of the CPU, the system also has a great response time and responds well to commands. There are plenty of performance reserves while running simple (2D-) programs. The IGP is not as great as the rest of the components. 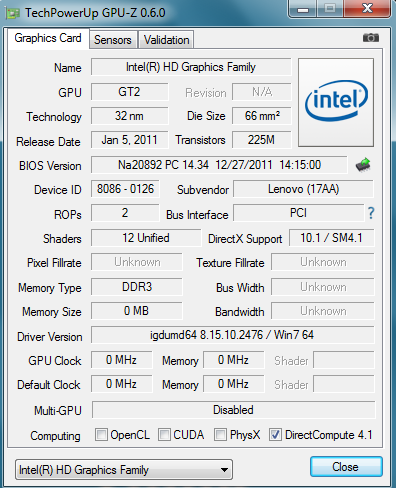 Although Intel has improved the model from its predecessor and the drivers are better now, the DirectX 10.1-ready HD 3000 IGP is still a mere low-end graphics chip. We recorded a performance of 3452 points in 3DMark 06 and 1753 points in 3DMark Vantage - slightly more than the Core i5-2520M (identical GPU clock speeds). Gamers will not be happy with the ThinkPad X1. Still, this business notebook can run the latest games at the lowest settings somewhat fluidly. 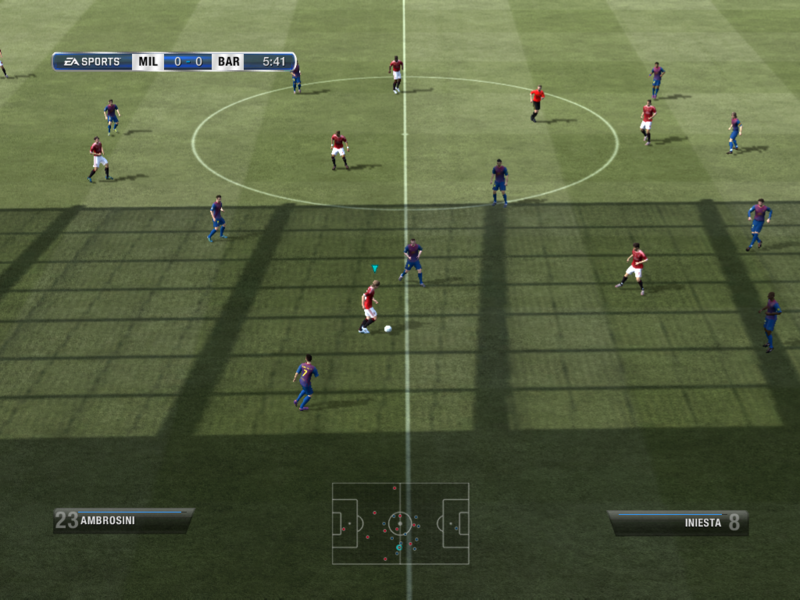 EA's football simulation game, Fifa 12, is always the first choice as this is a relatively easy game to run on computers. The laptop could run the game at a resolution of 1366x768 pixels, high details and 2x Anti-Aliasing with a good 31 fps. We recommend using medium settings to avoid the occasional stutter. 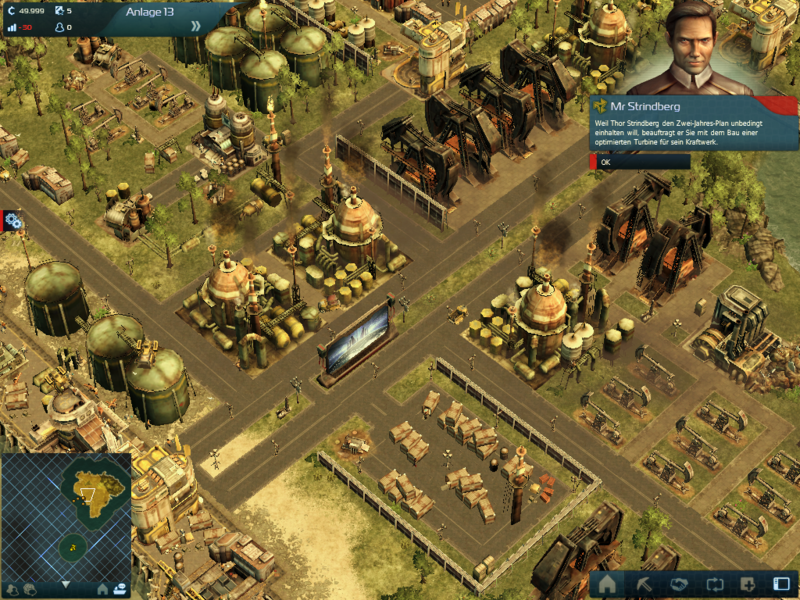 The high details of games such as Anno 2070 and Deus Ex: Human Revolution are far too demanding on this IGP. 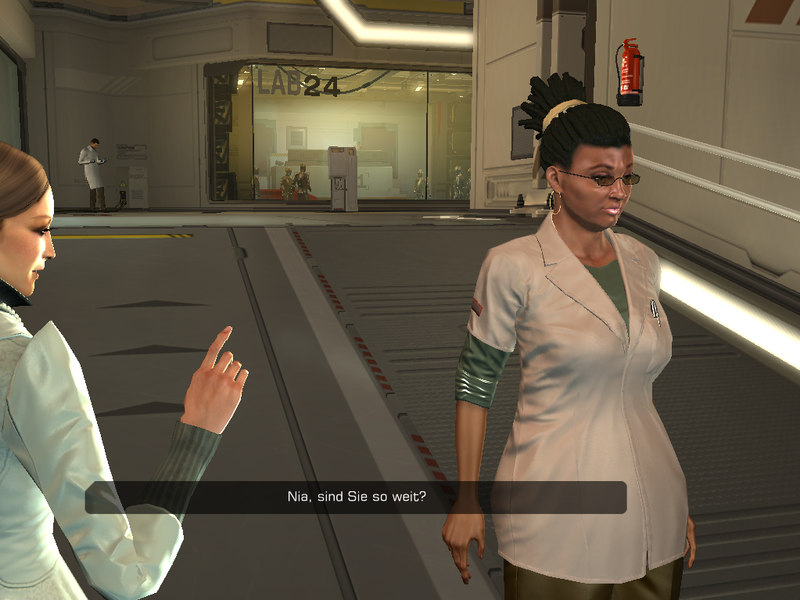 Both games were set to 1024x768 pixels and minimum details, and ran around the 30 fps mark. Even an old middle-class graphics chip, such as the Mobility Radeon HD 5650, can deliver double the performance. 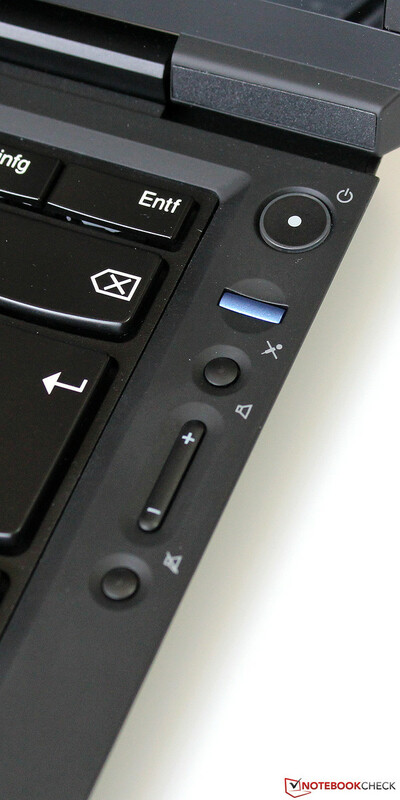 Thanks to the SSD, the ThinkPad X1 has gotten quieter while idle. 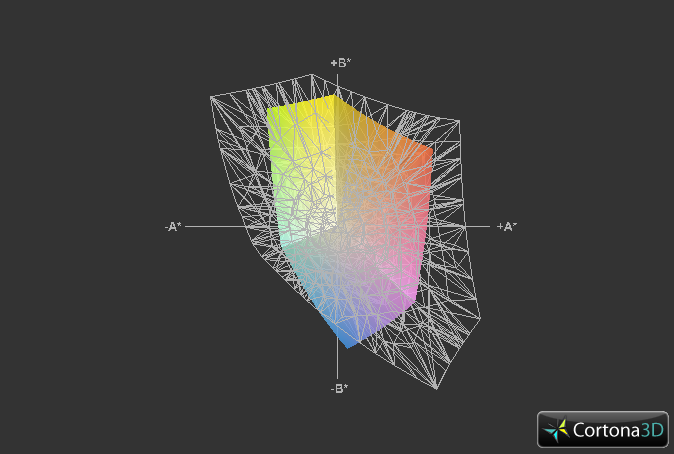 The cooler fan still runs constantly but is less perceptible at 29.8 to 30.3 dB(A). Low load (surfing the web or using Office) keeps the noise emissions down at a level which allows the user to work without being disturbed. The cooler fan slowly turns up after a demanding task has been running for a while. In 3DMark 06, the emissions reached an audible 37.3 dB(A). We measured even higher values in our stress test: the emissions went up to 39.8 dB(A). This means that the cooler fan quickly reacts to temperature changes and the noise emissions always stay at optimal levels. Even after long hours of heavy use, the cooler fan only turns up shortly after which it slows down to the idle mode speed. 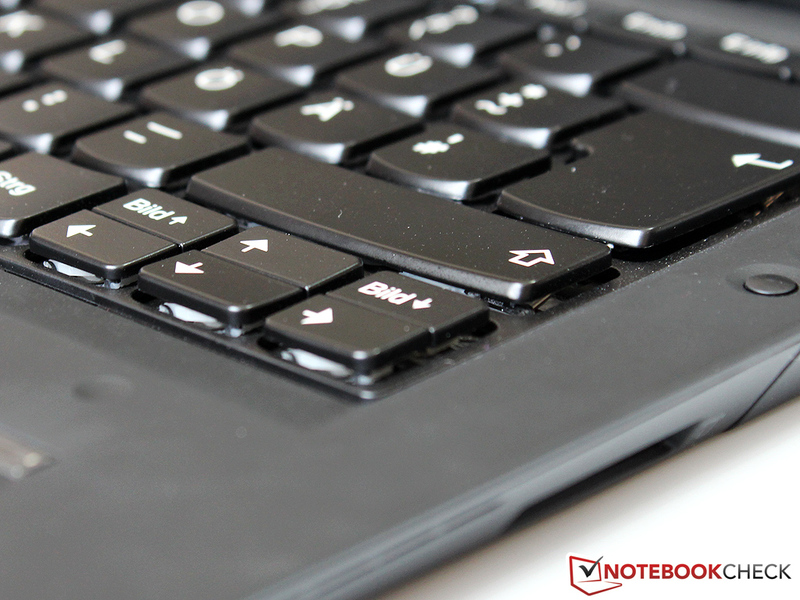 The emissions are acceptable as the laptop has a slim build and the CPU is high-performance. Users interested in the maximum performance can activate the "Turbo Boost+" feature in Lenovo's Energy Manager. This mode raises the cooler fan speed significantly but also outputs the maximum performance from the CPU. The temperature emissions are ideal while idle. The case heats up nowhere more than 28 degrees Celsius and the hand-rest regions stay at room temperature. Under load (Prime95 + FurMark) the situation changes dramatically: in the area of the cooling vents, the temperatures can rise quickly above the 50 degrees mark. This makes use of the device on the lap impossible. However, such temperatures should only be reached in a hot summer if the laptop has been running under full load for multiple hours. The temperatures of the case are not the only ones which rise - the CPU heats up to really high levels. The processor starts to throttle slightly at 98 degrees Celsius and clocks down to 2.2 to 2.6 GHz (standard clock speed: 2.8 GHz). 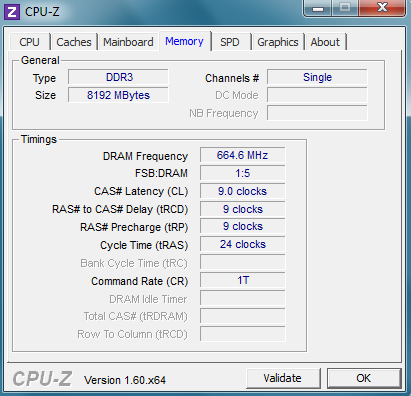 The graphics chip can barely maintain its Turbo clock speed of 1250 MHz. 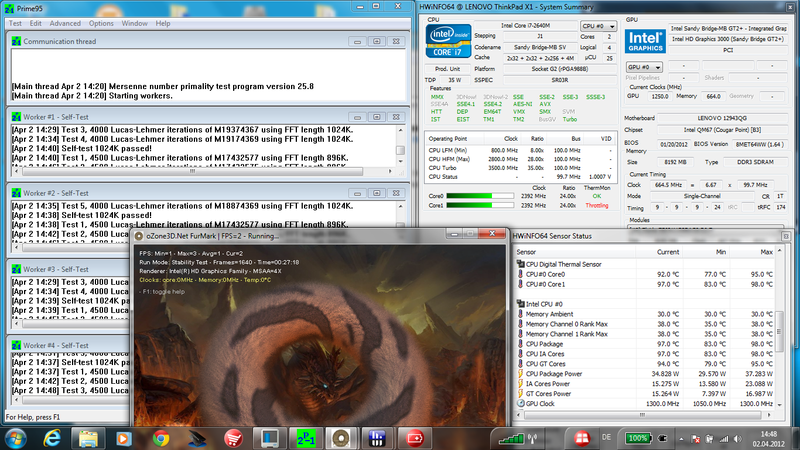 If Prime95 runs without FurMark, then the i7-2640M hovers around 3.0 GHz. (-) The average temperature for the upper side under maximal load is 38.2 °C / 101 F, compared to the average of 30.7 °C / 87 F for the devices in the class Subnotebook. (-) The maximum temperature on the upper side is 56.1 °C / 133 F, compared to the average of 35.8 °C / 96 F, ranging from 22 to 57 °C for the class Subnotebook. (+) In idle usage, the average temperature for the upper side is 22.5 °C / 73 F, compared to the device average of 30.7 °C / 87 F.
The speaker quality has not been changed compared to the predecessor. The sound output of the ThinkPad X1 is in the midfield, mainly due to the restricted bass and the average maximum volume. Tip: as the speaker output is aimed downwards and to the side, we recommend raising the laptop a few millimeters at the front. This small tuning measure will improve the spacial feel and brilliance of sound output of high tones. This will be a definite plus while playing music or watching movies. 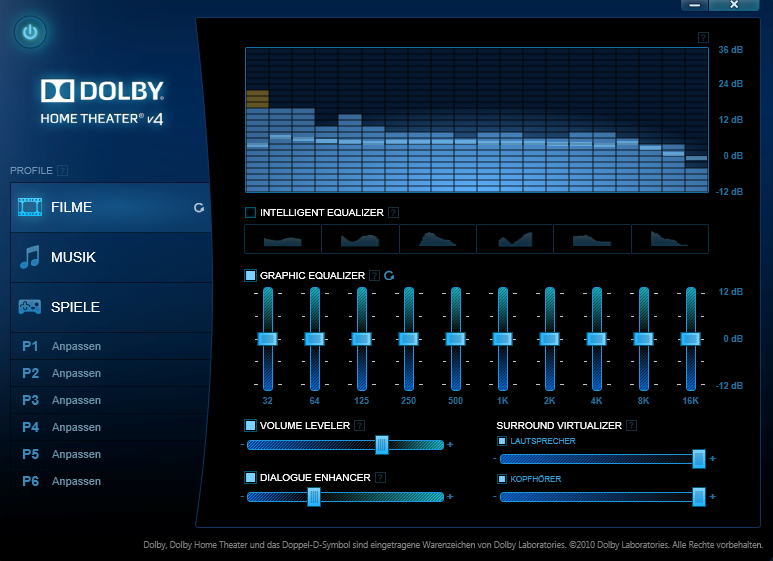 Users are recommended to use external speakers (via HDMI, DisplayPort or the 3.5 headphone jack). While the laptop is idle, it consumes between 7.0 to 12.2 watts. 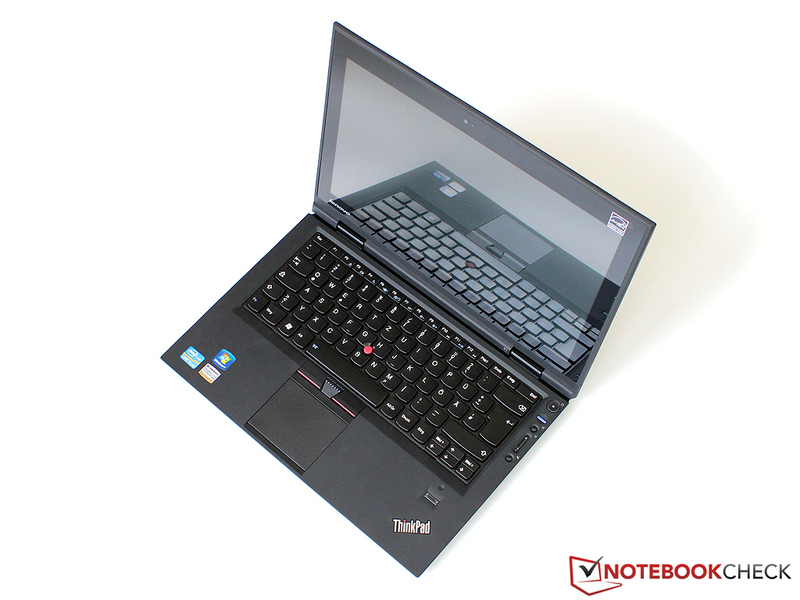 The Core i7 configuration of the ThinkPad X1 saves more power than the Core i5 configuration. 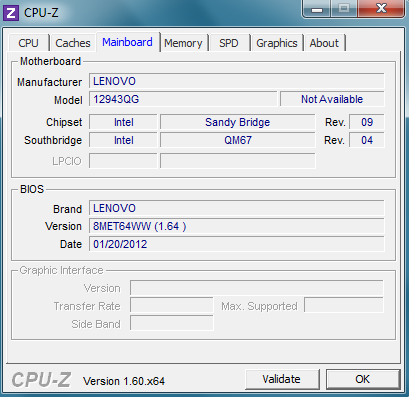 This is primarily thanks to the more efficient SSD of the test model. 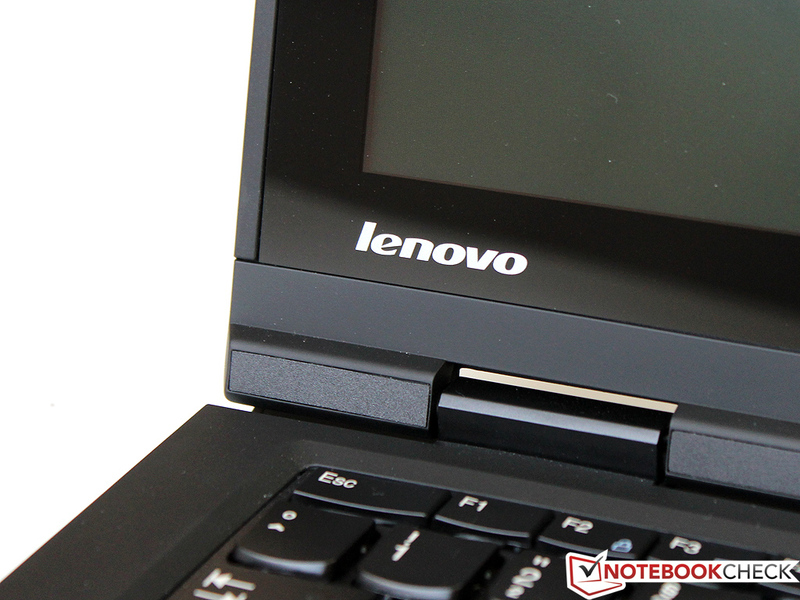 We also believe that Lenovo could have made better use of the power-saving options of the laptop with an updated BIOS. Under load, the gap between the two configurations gets smaller and our test model consumes a maximum of 62.4 watts - 5 watts more than its sister model. In the 3DMark 06 test, both devices consumed the same amount of power. This is to be expected as both models have CPUs with identical 35 W TDPs and the only difference is that one is a few hundred MHz faster than the other. The 90 W power adapter has no problems and can sate the computer's power needs easily, even while the laptop is charging. The reduced power consumption while idle results in a longer battery life from the integrated 39 Wh battery. In the Battery Eater Reader's test, the laptop lasted 6 hours and 9 minutes - average for most notebooks and in everyday use barely possible. 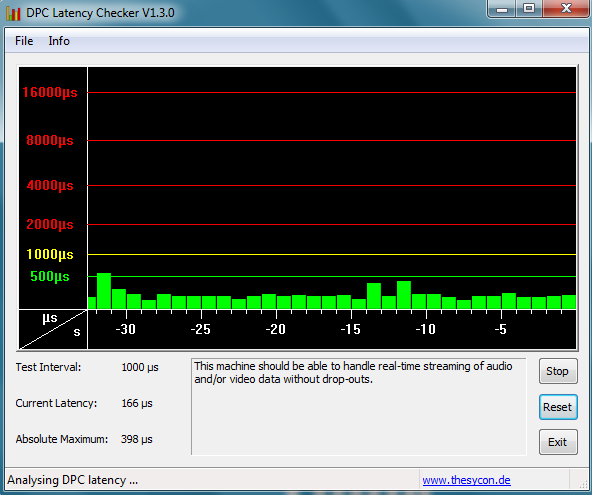 For this test, the WLAN was off and brightness was set to minimum. Still, this runtime is a step in the right direction. Typical usage of the wifi with adjusted brightness (150 cd/m²) will reduce the run time to 3 hours and 31 minutes. A bigger battery (as in the Lifebook S761) would have been of use in this model. Sadly, this was not possible as Lenovo wanted to keep the case as slim as possible. A separate battery slice is available for 240 Euros (a little cheaper at most online shops) which is attached to the device at the bottom and gives the laptop an additional 36 Wh. With the extra battery, the laptop should be able to surf the web for a good 7 hours. The Battery Eater Classic test drops the run time to 43 minutes (highest performance, maximum brightness, and wifi on). Lenovo's X1 charges up to 80% in 30 minutes, and takes an additional 44 minutes to charge up to 100%. Practical: users can choose when and how long the cells will be charged in Lenovo's Energy Manager. For example, by limiting the charging of the battery to 90%, the battery's expected life increases significantly. We did not get the proper ThinkPad feeling from this test model. Yes the X1 is slim, light and looks good, but to achieve this it sacrifices some of the qualities which built the ThinkPad reputation from the ground up. Our biggest critique is the glare display. Despite the high brightness, the laptop screen dances with distracting reflections in the sunlight, and this makes outdoors use unnecessarily hard. Another big flaw is the poor quality panel which is an outrage in a pricy laptop such as this one. Sadly, this is not limited to Lenovo and many other manufacturers have skimped on the display in a similar fashion. The thin case causes more problems. The securely integrated battery holds a mere 39 Wh and can only deliver heavily limited runtimes. The cooling system had to be designed in a compact manner so as to fit the case and this affects the cooling capability adversely. The system can be pushed to its limits in hot surroundings. Finally, the high noise and temperature emissions are not flaws which we expect from a ThinkPad model. Let us take a look at the pros of this model: the X1 offers top-of-the-line performance thanks to the Core i7 CPU and fast SSD. 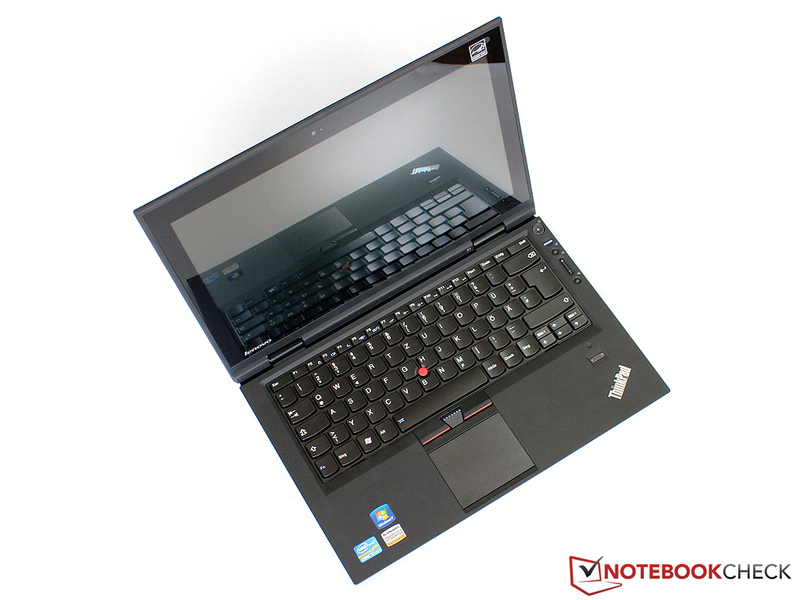 This 13.3 model achieves an excellent program performance and can even beat some desktop PCs. The input devices and the workmanship quality are both very good. 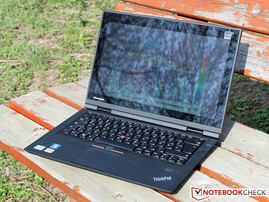 Each buyer will have to decide for him/herself if the Lenovo X1 is worth the 1800 Euros. In addition to the competition from Dell, Fujitsu and Apple, this test model will also be pitted against the cheaper 1200 Euros entry-level configuration. Buyers can equip the cheaper configuration with an SSD of their own choosing and thus not have to pay the ridiculous premium for the slightly faster CPU and the single 8 GB RAM module. Finally, one of our readers has also pointed out that the Sony Vaio VPC-Z2 is available for the same price (depending on the configuration). Exceptional input devices characterize the X1. 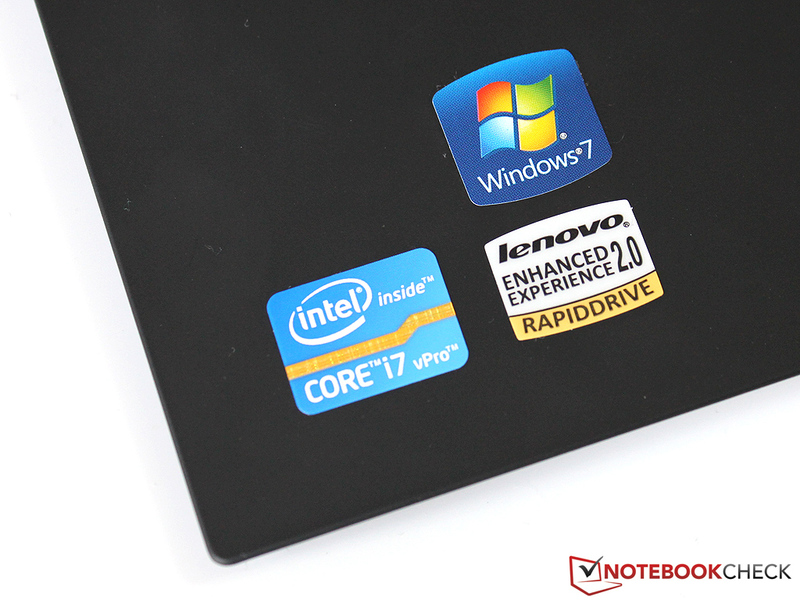 The laptop boasts a Core i7-2640M on the inside. ...but also a SIM card slot for the UMTS module. 180 degrees is not a problem. ...and even the stiff hinges are impressive. ...the slimmest model of the entire line-up. Dedicated keys can control the speakers. The fast system performance thanks to the modern flash storage of the ThinkPad X1. Windows and programs start in seconds and the i7-2640M offers generous performance reserves for all applications. The emissions of the fast CPU can push the cooling system to its limits especially during the summer. Lenovo should improve the system and reduce the noise emissions and temperatures. Which ThinkPad buyer wants a glare display? We want a matt and high-quality panel for the successor. The X1 will have to compete with other professional 13 inch models such as the Dell Latitude E6320 and the Fujitsu Lifebook S761. Under certain conditions, the Apple MacBook Pro 13 would also qualify as a competitor. 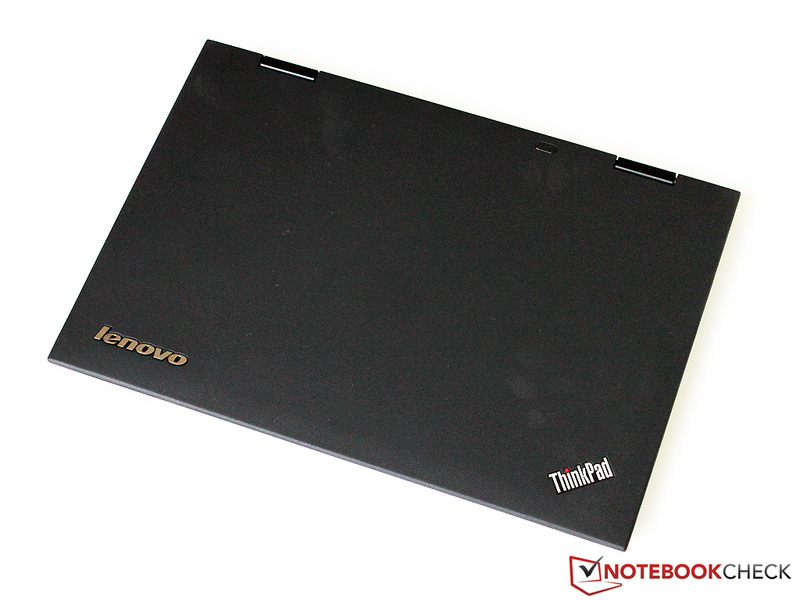 The ThinkPad T420s presents the competition from the Lenovo house.